first and foremost, the CVR Blog wants to wish everyone a Happy Holiday season. I will be taking a couple of days off to enjoy time with my family. Next post will be on Monday the 26th, in the meantime, catch up on some earlier posts! SARAJEVO, Bosnia and Herzegovina, Dec. 23, 2011 /PRNewswire-USNewswire/ -- Angelina Jolie, Graham King Films and Varese Sarabande Records today announced that a portion of the proceeds from the In the Land of Blood and Honey soundtrack will be donated to SOS Children's Villages in Bosnia and Herzegovina. The donation is given in support of the critically needed programs that SOS Children's Villages provides in Bosnia and Herzegovina to children, youth and families still suffering from lingering effects of the 1990s war in the Balkans. In her directorial debut, Ms. Jolie worked with actors from the region whose personal experiences during the war helped inform and shape the film. Ms. Jolie stated, "We are happy that a portion of the proceeds from the film's soundtrack will support SOS Children's Villages in Bosnia and Herzegovina to provide stable, family-based homes to children, regardless of religion, ethnicity or gender, who do not have their own families to care for them." Proceeds from the soundtrack will be used to help fund SOS Children's Villages programs in Bosnia and Herzegovina. In SOS Children's Villages around the world, children who have no family to care for them are raised in a loving, nurturing family with SOS brothers and sisters headed by an SOS Mother. In Bosnia, 280 children and youth are growing up in SOS Children's Villages homes in Sarajevo and Gracanica. Nearly 7,000 more benefit from additional SOS programs in Bosnia including family strengthening, child care, education, vocational training and social services. The soundtrack from In the Land of Blood and Honey was produced by Angelina Jolie, Robert Townson and Academy Award-winning composer Gabriel Yared. 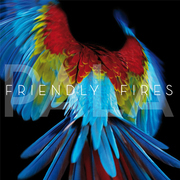 The soundtrack echoes themes from the film and includes a selection of songs from the Balkans. Two featured songs are Miss Sarajevo and When The Heart Dies. First released by U2 in 1995, Miss Sarajevo is performed by Luciano Pavarotti and Passengers. When The Heart Dies, by award winning composer Gabriel Yared is performed by acclaimed singer and actress Natasa Mirkovic-De Ro and also features Rade Serbedzija, Dado Dzihan and BOMBAJ STAMPA. The soundtrack is currently available through iTunes and the CD will be released on January 10, 2012. For over 60 years, SOS Children's Villages has been dedicated to providing family-based, long-term care to children who can no longer grow up with their biological families. They also focus on preventing the conditions that cause children to be orphaned and abandoned. Through its Children's Villages and Family Strengthening Programs, SOS impacts the lives of over 1 million people each year. SOS Children's Villages has received numerous awards including the Save the World Award, the Mother Teresa Gold Medal, the Conrad N. Hilton Humanitarian Prize, and the Vietnam Friendship Medal. For more information about SOS Children's Villages or to make a donation, visit www.sos-childrensvillages.org. CHICAGO, Dec. 22, 2011 /PRNewswire-USNewswire/ -- This holiday season, celebrities and children came together for "A Merry Christmas" music video, which features stars like Stevie Wonder, Dionne Warwick, Larry King, Ray J, Jordin Sparks, Jermaine Jackson, Mystery Guitar Man, DeStorm, Irina Slutskaya, the Bolshoi Ballet and others. The music video is set to premiere right before Christmas on Friday, December 23rd, and you can view the teaser video at http://youtu.be/T-vo2wokBRU. Proceeds from single sales will benefit Bright Future International (BFI), a charitable organization that funds programs for underprivileged children around the world. The music video begins with a little boy and girl communicating with each other from opposite sides of the world. The boy wishes the girl "A Merry Christmas" in the form of song, and despite language barriers and many miles, they are connected through this tune. The song garners attentions from children and celebrities around the world, each of them adding their own special harmony. Tying in with BFI's mission, the concept of the music video is to promote community and peace by uniting people around the world regardless of race, religion or social status, and to have children play a major role in this. Bright Future International (BFI) is a charitable organization helping children around the world achieve a better future by promoting compassion, values, hope, knowledge, and a desire to help others. Currently, BFI funds after school programs for underprivileged children in Russia, Panama, Rwanda and Burundi. In 2012, BFI will also be launching programs in Kenya and the U.S. 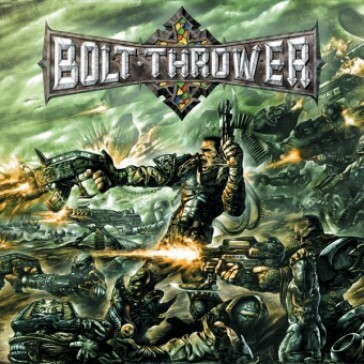 The last three albums from British extreme metal pioneers BOLT THROWER "Mercenary" (1998), "Honour-Valour-Pride" (2001) and "Those Once Loyal" (2005) will be reissued on vinyl in the U.S. on January 31st, 2012 via Metal Blade Records. All three albums will be released as gatefold sleeves in black vinyl, limited to 1000 units initial pressing each. The wait is over. 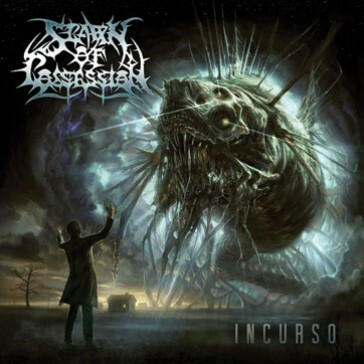 ‘Incurso’, Spawn Of Possession’s Relapse debut and first new record in over five years is a headspinning masterpiece of technically brutal death metal. Featuring current and former members of tech-titans Necrophagist and Obscura, Spawn Of Possession absolutely annihilate with ‘Incurso’. 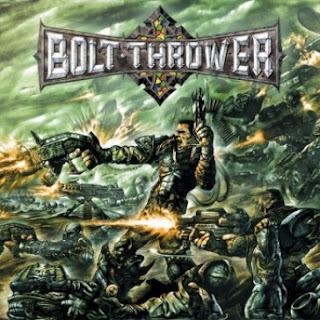 Devastating riffs, jaw-dropping time-signatures and improbably complex and sophisticated songwriting all combine to create an opus of next level death metal. Spawn Of Possession’s ‘Incurso’ is simultaneously fresh and instantly classic, an immediate landmark in the death metal canon. 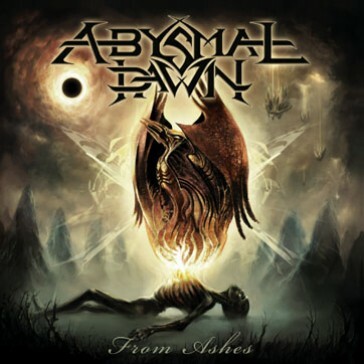 ABYSMAL DAWN’s first album From Ashes was one of the top death metal debuts of the past decade. The Los Angeles quartet's mix of classic death metal brutality, melodic flourishes, and impeccable soloing with a modern delivery made them a must watch band for the next generation of extreme metal connoisseurs. Remastered and featuring three bonus tracks, From Ashes exposes this sorely underrated effort from one of the best new American metal bands. 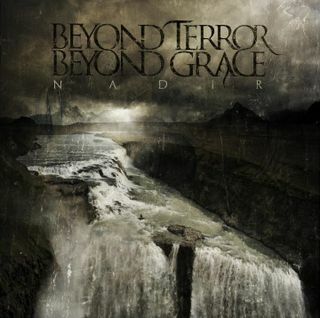 "We're proud to unveil the cover art and tracklisting from our forthcoming album 'Nadir'. We again worked with Colin Marks from Rainsong Design for the album artwork and booklet and feel he has done a fantastic job. Expect a label press release along with the official release date next week, and another track available to stream. Not long now folks!" 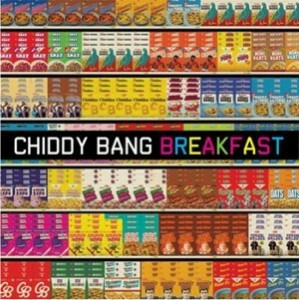 Chiddy Bang have revealed the cover art and track list for the new record, due out on February 28th . ‘Breakfast’ will have12 songs including the group’s singles ‘Mind Your Manners’ and ‘Ray Charles’ as well as ‘Baby Roulette’ which features the Grammy-award winning rock-band Train. If CD format is dying, will any music fans mourn their compact discs? 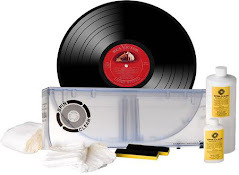 TORONTO - It was just over 29 years ago that the compact disc was first made widely available to the public, a much-hyped new format that — we were told — was certain to sound vinyl's death knell with crisp digital clarity. And in the coming decades, CDs did flourish, with music listeners rushing to clear shelf space for stacks of jewel cases (in hindsight, could they have had a more ridiculous name?). But the second part of that '80s prognostication never really came true. Vinyl only ever died just enough so that it could be revived — with holdout music-loving purists clinging to the old things with such relentless resolve that the format has actually enjoyed a gradual resurgence in recent years. That growth — marginal as it is — has come at the expense of CDs, now the dinosaur format fading into irrelevance as analysts point to a future that will apparently reside in streams, hard-drives or, perhaps, in the Cloud. According to a report in Side Line Music Magazine that created a stir in October, major labels are even planning to phase the CD out by the end of 2012 in favour of digital-only releases, almost 30 years after Billy Joel's "52nd Street" became the first commercial album to be released on CD in Japan. 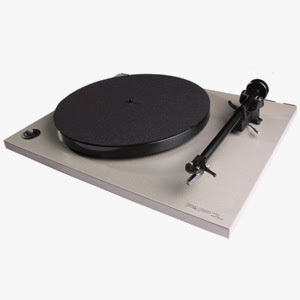 So, major labels are reportedly musing on their CD exit strategy, major retailers such as HMV are desperately clearing discs from their shelves and many serious music fans — and stores — have already shifted their focus to vinyl. 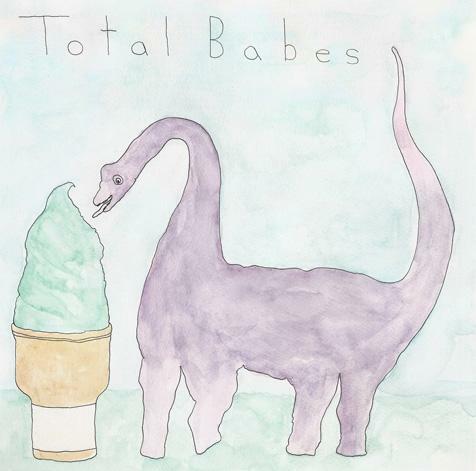 again another list, warning there are some really bad album covers! Live albums and reissue projects often do much to shape the broader idea we have about a musical legacy, and this year was no different — with impressive sets devoted to Ray Charles, the Beach Boys, Bill Wyman’s Rhythm Kings and the Smiths along with key live dates from the Rolling Stones, Freddie Hubbard, Levon Helm and Rockpile, among others. 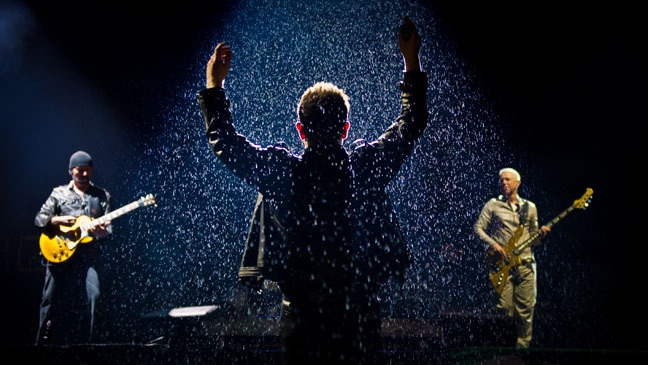 U2 played to approximately 2.8 million people in the US and Africa during the year. New Jersey rockers Bon Jovi took in more than $192 million on attendance of about 1.8 million fans, British pop vocal group Take That's reunion tour grossed $185 million, and founding Pink Floyd member Roger Waters' "The Wall Live" earned almost $150 million, according to the Hollywood Reporter. never get tired of these videos! In 1922, the British Broadcasting Corporation broadcast the first orchestral concert, the first program of dance music, the first radio talk program, and the first regular bulletin of general news from London, provided by the Reuters news source. In 1957, the Champs recorded "Tequila." "Tequila" became a #1 hit on both the pop and R&B charts at the time of its release and continues to be strongly referenced in pop culture to this day. The track would be the Champs' only hit song, relegating them to one-hit wonder status. In 1957, Gene Autry's record label, Challenge Records, signed Dave Burgess (born 1934), a rockabilly singer-songwriter from California who often recorded under the name "Dave Dupree." At the end of 1957, having produced no hits, Challenge Records looked to Burgess, who organized a recording session on December 23 in Hollywood. In the studio that day were Burgess on rhythm guitar, Cliff Hills on bass guitar, the Flores Trio (Danny Flores on saxophone and keyboards, Gene Alden on drums, and lead guitarist Buddy Bruce), and Huelyn Duvall contributing backing vocals. They gathered primarily to record "Train to Nowhere," a song by Burgess, as well as "Night Beat" and "All Night Rock." The last song recorded was "Tequila," essentially just a jam by the Flores Trio. There were three takes, and Daniel Flores (d September 19, 2006), who wrote the song, was also the man who actually spoke the word "Tequila!". Flores also played the song's trademark "dirty sax" solo. The song served as the B-side for "Train to Nowhere," which was released by Challenge Records on January 15, 1958. Duvall recalls that the record initially found little success, but, after a DJ in Cleveland played the B-side, "Tequila" skyrocketed up the charts, reaching #1 on the Billboard chart on March 28, 1958. Daniel Flores had written "Tequila," but, because he was signed to another label, the song was credited to "Chuck Rio," a name he adopted for the stage. Those present for the December 23 session began recording together again on January 20, 1958, under the name the Champs; the group technically formed after recording its most famous song. In 1959, in St. Louis, Chuck Berry was arrested after Janice Norine, a 14-year old Apache girl he'd brought in from Mexico was revealed to be a prostitute. Berry claimed she was hired to be a hatcheck girl at his nightclub. Under the Mann Act in the U.S., which makes it illegal to transport a minor across state lines for immoral purposes, Berry was sentenced to five years in prison. The charges were eventually dropped after the judge allegedly made racist remarks. In 1964, the Beach Boys performed "Little Saint Nick" and "Dance, Dance, Dance" in their first appearance on ABC-TV's "Shindig!" That night during their flight from Los Angeles to a concert in Houston, Brian Wilson suffered a nervous breakdown which led to his immediate retirement from touring. Studio musician Glen Campbell, who had performed on several Beach Boys recordings, was hired to take his place on stage, and eventually was replaced by Bruce Johnston who became a permanent member of the group. Also in 1964, pirate radio station Radio London started broadcasting. In 1966, the UFO club, London's premiere psychedelic hangout, opened with Pink Floyd as the house band. Also in 1966, in the UK, after it was announced that union rules would be enforced barring lip-syncing by musicians on television, the ITV musical program "Ready Steady Go!" aired its last show, featuring the Who, Mick Jagger, Eric Burdon, the Spencer Davis Group, Donovan, and Dave Dee, Dozy, Beaky, Mick And Tich. In 1968, at Apple's Christmas party, John Lennon and Yoko Ono, dressed as Santa and Mrs. Claus, handed out presents to the children of the staff. In 1969, for the first time Elton John met with what became his classic behind-the-scenes team – songwriter Bernie Taupin, arranger Paul Buckmaster, and producer Gus Dudgeon – to begin work on his first solo album. In 1972, John Lennon's film "Imagine" premiered on national TV. Also in 1972, at Madison Square Garden in New York, ex-Grand Funk Railroad manager Terry Knight showed up at the band's scheduled concert with a court order allowing him to seize $1 million in money and/or assets owed to him by Grand Funk. Realizing that the band couldn't get paid if they didn't perform, Knight and deputy sheriffs waited for the end of the concert to impound the band's instruments and equipment. In 1974, George Harrison released a holiday single, "Ding Dong, Ding Dong." In 1977, Cat Stevens converted to Islam and changed his name to Yusef Islam. 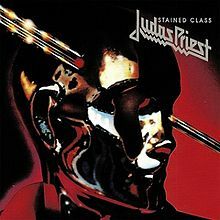 In 1985, two Judas Priest fans shot themselves after listening to the album Stained Class. In 1987, Roger Waters and David Gilmour settled their differences allowing Waters to perform as Pink Floyd and Gilmour to receive royalties. In 1992, guitarist and Rock and Roll Hall of Famer Eddie Hazel, lead guitarist of Parliament/Funkadelic, died from internal bleeding and liver failure at 42. In 1994, singer Dan Hamilton, lead vocalist of Hamilton, Joe Frank & Reynolds, died after a stroke while being treated for Cushing's syndrome at the age of 48. In 1997, Jackie Landry of the Chantels died of cancer at the age of 56. The group placed four songs on the Billboard Top 40 between 1958 and 1961, including "Maybe" (#15) and "Look In My Eyes" (#14), as well as an answer to Ray Charles' "Hit The Road Jack" called "Well, I Told You" (#29). In 1999, unemployed musician Cristin Keleher broke into George Harrison's Maui house and made herself at home, heating a frozen pizza, drinking beer from the refrigerator, doing laundry, and calling her mother in New Jersey, before Hawaiian authorities arrived to arrest her. Convicted of breaking and entering and theft, she served four months in jail. In 2007, jazz pianist/composer Oscar Peterson died of kidney failure at the age of 82. In 2008, songwriter (Game Of Love, You're No Good, I'm Alive, Gingerbread, One Of Us, Good Timin') Clint Ballard, Jr., who discovered and managed the Kalin Twins, died at the age of 77.